Funny title, but…I was quoted below (#3 and #5) in this November 16, 2016 Huffington Post article by Brittany Wong. The guy described below is just not worth your time. 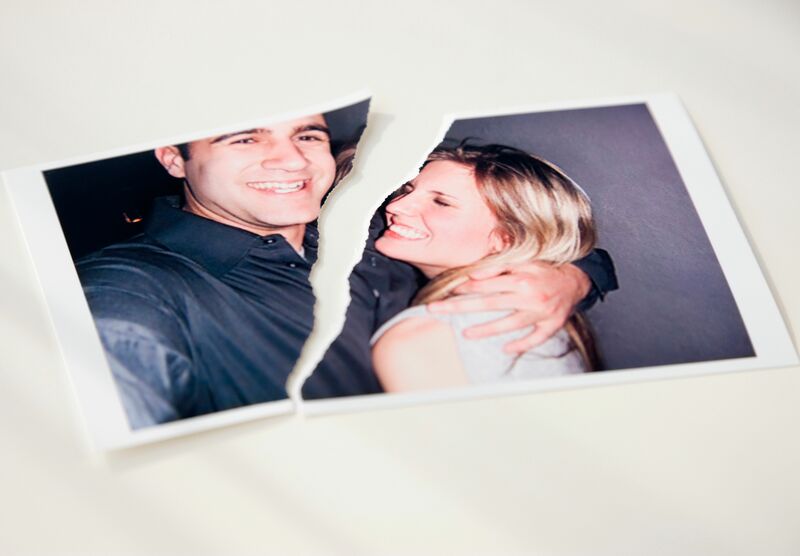 Skip the breakup and picture-tearing stage and simply don’t date him to begin with. Below, marriage therapists and other relationship experts share those and other glaring red flags that the new guy you’re seeing is categorically not The One. 1. He talks about himself ― and only himself. You shouldn’t know everything about the guy after one date: If he monopolized the conversation with talk of his stock options and rudely interrupted when you finally got a word in, you probably don’t need to see him again, said Kristin Zeising, a psychologist in San Diego, California. 2. The conversation is severely lacking. Nervousness and awkward pauses are totally normal on first dates. But eventually, the conversation should flow easily between you and your man, said Marie Land, a psychologist in Washington, D.C.
3. He has nothing good to say about previous relationships. Don’t turn your cheek when he trash talks his ex: Stick around long enough and he’ll likely be saying the same things about you to future dates, said Diane Spear, a therapist in New York City. 4. He makes a really good first impression – then disappears. Don’t settle for a guy who sweeps you off your feet in the first few months, then proceeds to ghost you, said Aaron Anderson, a marriage and family therapist in Denver, Colorado. “If he can’t maintain a relationship beyond first impressions, he’s not long-term material,” he added. 5. He talks about your future as a couple on the first or second date. On the other hand, also be wary if he starts talking about your future in super specific detail, Spear said. Whether your future kiddos will go to private or public school should not be a topic of conversation on date number two. 6. He can’t commit to plans. OK, so he doesn’t quite ghost you ― but getting him to respond to your calls and texts about making plans is damn near impossible. That’s a red flag, too, said Isiah McKimmie, a couples therapist and sexologist in Melbourne, Australia. “If he’s unreliable and noncommittal now, he’s likely to stay that way,” she said. A man who can’t acknowledge when he’s wrong is a man you should have nothing to do with, Land said. 8. He’s a major flirt. There’s nothing wrong with a guy who’s charming ― unless he’s charming and flirty to everyone he meets, said Anderson. “When that happens, he’s usually just playing the field and keeping his options open, which means he doesn’t see you as long-term material,” he said. 9. He doesn’t have empathy for you. You want a partner who’s going to genuinely listen to you: He needs to be the type of guy who’s up for your rant about work and the flaky friend you can’t pin down. If he’s not capable of that, he’s probably not the one, said McKimmie. Hopefully, you both go into the relationship with your eyes wide open, knowing that you’re both flawed human beings. Still, there are some qualities you can’t settle for in love ― and that includes a man who’s not willing to be emotionally intimate.